The New Face of Advertising – It’s All Online! For more than a century, when people wanted to find a local business they thumbed through the Yellow Pages. Not so long ago the go-to source for everything from auto parts to RV dealers, the Yellow Pages have fallen on hard times as both advertisers and shoppers move online. Few people are still willing to let their “fingers do the walking” when they can locate what they need in seconds using internet search engines and online directories. A recent eMarketer study found that consumers under age 55 use online search engines to locate local businesses more frequently than they use any other resource, including print and online yellow pages, newspaper ads, email coupons or store circulars. Marketing gurus started sounding the death knell of the printed Yellow Pages in 2007. By 2010, a small business survey by Vistaprint found only 17% of respondents currently advertising in printed Yellow Pages compared to 72% that had either cancelled or had no interest in Yellow Pages advertising. Sales of Yellow Pages print ads have declined so drastically that paper directories are no longer printed in many cities. Internet advertising has usurped print ads as America’s most powerful marketing force. A new Forrester Research report found that 60% of marketers planned to shift dollars from traditional to online advertising. Last year, eMarketer placed U.S. online advertising expenditures at $39.5 billion, a 24% increase over the previous year. By 2014, Forrester expects interactive marketing expenditures to reach $55 billion, nearly a quarter of all U.S. marketing expenditures. Search marketing is predicted to lead the way, reaching $31.5 billion by 2014 with internet display advertising increasing 17% to $16.9 billion and social media marketing rising to $3.1 billion. 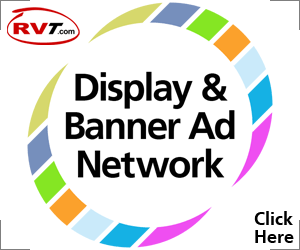 Businesses large and small have been shifting advertising dollars from print media and investing it online in banner and display ads, website development and social media marketing. 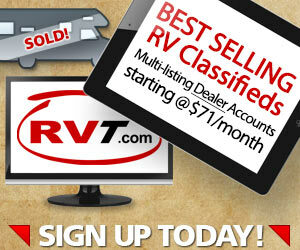 Online advertising can pay for itself in both increased exposure and sales. 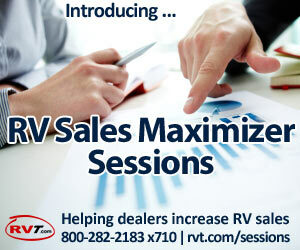 Contact RVT.com to find out how internet marketing can help you grow your RV business.